You can include a new functionality in the development plan according your specific needs Example: adressing your streaming directly to your own media archive / web or implementation of libraries and functionalities such as Popcorn.js + Technical Assistance + LiveStreamer Account + Media Archive Account + Gratefulness mention on the web on the web. Diseño de la identidad de Adtlántida.tv y de las plantillas web. 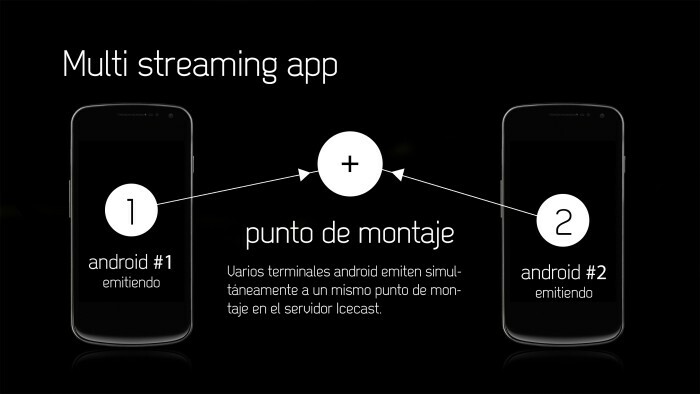 Configuración del servidor de streaming Icecast e instalación. Mantenimiento y soporte técnico. Diseño de las plantillas de las app para dispositivos móviles. 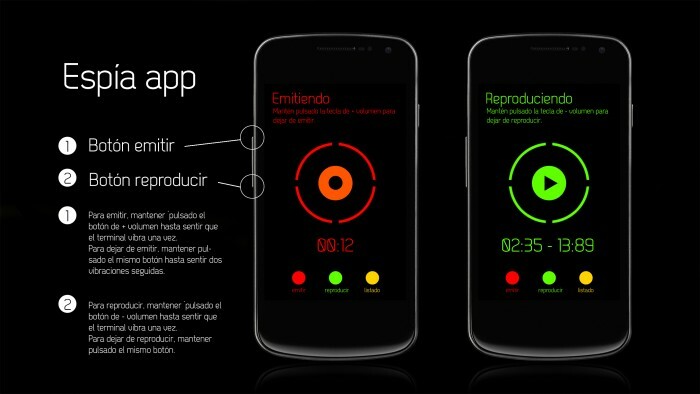 Programación para apps móviles en Java.App espía de streaming de audio. Plus para ajustes en la configuración al ajustar el servidor a las nuevas demandas por las apps que se desarrollarán con una mayor financiación. Difusión, mantenimiento y actualización de redes sociales. Alquiler de un servidor web por un año. Atlántida=legendary island, symbol of advanced civilizations, submerged somewhere in the Atlantic. Adtlantida.tv is a free radio-television system. Its network of web and smartphone apps allows you to broadcast and consult audiovisual material at any time from anywhere through any free device. Adtlantida.tv is different form other services like Bambuser, Ustream or Vimeo in that it only uses free tools ((Icecast at Linux server, html5 media players, Android apps); it combines live streaming on demand in only one COMMUNITARY service; and it works with uncensored free contents and without advertising. Apart from this,Adtlantida.tv will have a team commited to research and develop new apps for experimental needs. icecasat streaming served conected with the ring of giss.tv servers. Android devices: live streaming, audio spy-apps. android live streaming server (with two webcams). Users plus who broadcast information (live streaming from any device). Users who file the information (multimedia library- flux on a diferred basis). In these other blocks, users are grouped by channels, identifying themselves with a colective, an individual user or any other kind of entity. During the first year, the number of users will be limited to those who co-finance the project during the crowfunding stage, so the registration of new users will be closed to garantee the service and stablish a closed relationship with those people or collectives that help to set up the project. On the second year, the service will be opened up to all the web users and the registration will be free. Adtlantida.tv will enable an API that returns the contents in json so that they can be easily used in other apps (like bloggers or other CMS). At the same time, the CMS latest news could be included at the users' interfaces by RSS. Adtlantida.tv will also implement a system of events that allows to develop a dynamic grill based on differents criteria of content relations (not exclusively randomly) in the main interface. Infraestructure 100% free software that widens free creative production and its visibility, as well as a direct democratization of streaming: everybody can stream everywhere. The core idea was born ad a project to develop new functions in streaming field, and also to reinforce and give visibility to independent cultural production labs (promoting net connection on rural areas) and to cooperatives, self-employment initiatives, precarious freelancers, etc. Our idea of Adtlantida.tv as a local initiative from Galicia opened up to global context (such as the net and the nets we inhabit and promote), wishes to address to the creative community in a broader sense, to all citizens, with functionalities such as the audioleaks-spy-app as a tool of transparency and social protest, or the multistreaming between different devices. Reinforce free and community streaming tools as opposite to corporations and private software such as Ustream o Bambuser. Research on streaming, development of apps and functionalities: streaming from Android with two webcams launched to the same mount point and the audio spy-app for Android that broadcasts with just a click, and reinforcement of free software alternatives. In the long run, we propose to set up live streaming in the web interface without using private technologies, simplifying the broadcast process for the final user. 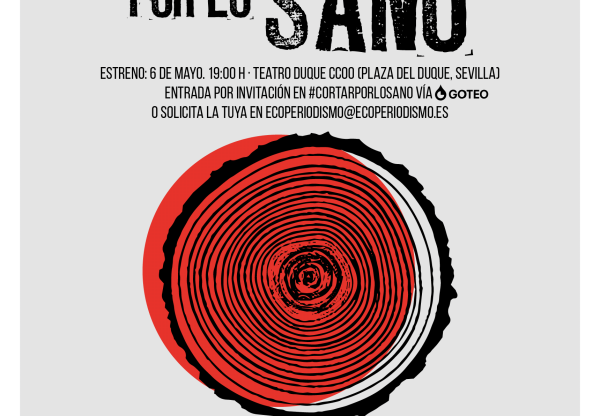 Summon up critical mass devoted to cultural and artistic production that uses audiovisual as a main working tool, or uses audiovisual as a vehicle for the diffusion of projects or social protest. Foster creativity and experimentation in a broad sense (not exclusively proffesional), including audioleaks and multistreaming as citizen tools for creative social protest. P romote free licences among cultural and artistic producers and everybody interested in creative contents and social protest. Collect users needs through the returns to include them in a fluent development. Promote the project among national, European and global Commons nets, seeking for synergies, complementarities and advice. Right now, we are taking part in giss.tv ring server, hosting our server with marsupi rizome from self-managed servers (they already gave us a virtual machine for technical tests). This way, the economical section dedicated to infrastructure will be a mechanism of mutual solidarity with akin autonomous inititiates. The total amount for a minimun co-finnancing is 6,500 € and the optimun is 8,900€. On a second stage, the optimun, the development will be focused on research and the development of the rest of movile apps and the promotion of the project. At this moment, there are three apps projected: one app analog to the web, on spy app and one app to live broadcasting from different devices. Only this last one is included in the minimun financing, that also includes the server's configuration and the development of the web service. The 10% of the total will be addressed to the management during the co-financing phase. The 8% for service provision to Goteo and an average of 2% for the economic transactions. Beka Iglesias-geeksha: I am dedicated to create multimedia applications and interactive art as freelancer.100% FLOSS.My latest interactive project is based on Haptics-Creative coding applied to transfeminist performance (puredata, openframeworks), and it was selected for the Art Exhibition in the World Haptics Conference 2013. Currently I work as a freelance while I am enjoying a european scholarship that allows me to start implementing guifi.net in Porto, Portugal. At the same time, I am studying a specific graduate on developing applications for mobile devices. I am co-admin of the web olholivre.net and I am participating in organizing Summeroflabs (Atlantic Arc). All code developed will be released to serve the community. Network will be developed in Github to facilitate access, modification and cooperation. Any new functionality added to Icecast or related community and html5 video community will be documented in tutorial mode (or video tutorial mode). It would be great if you could help us to translate the interfaces (apps and site). It is also needed to translate the documentation.